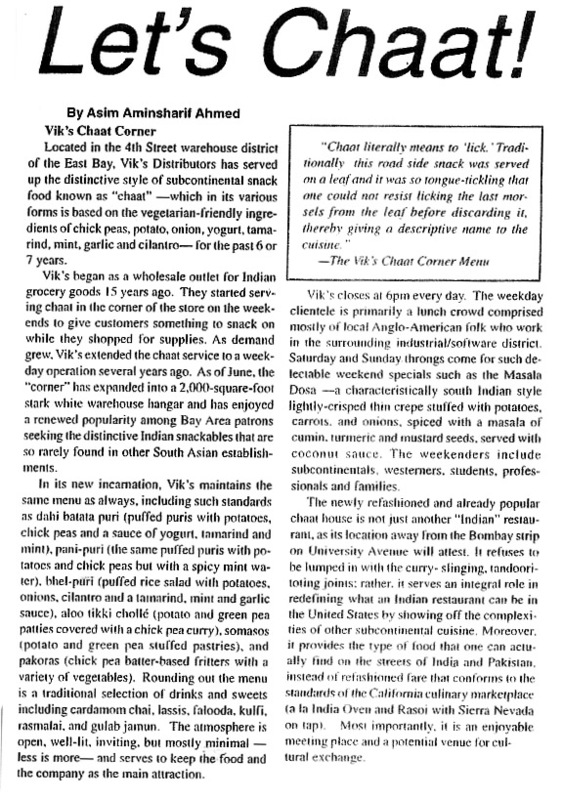 India Currents, June 2010: Mmm Chaat! 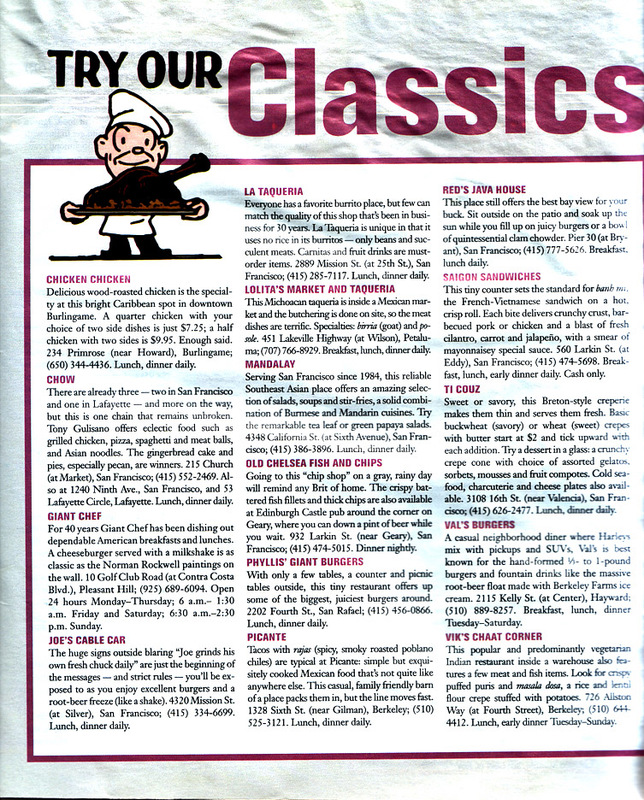 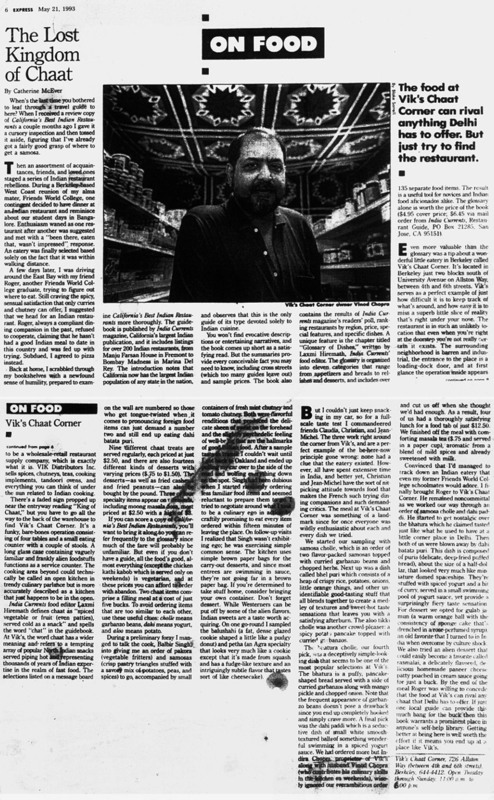 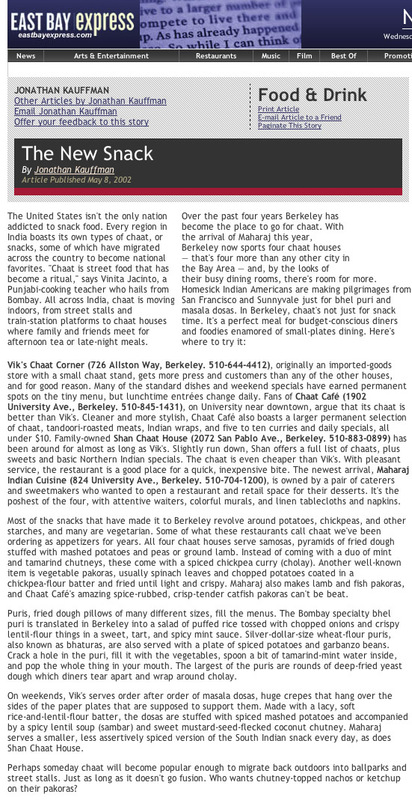 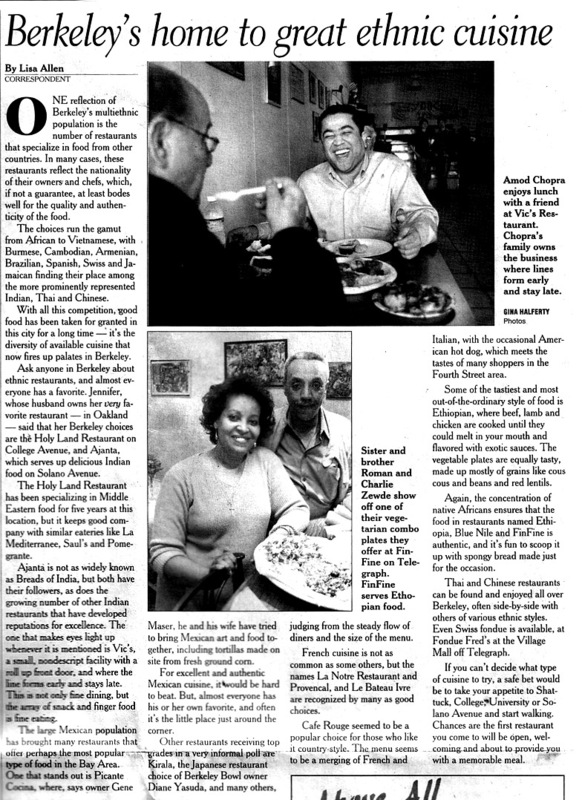 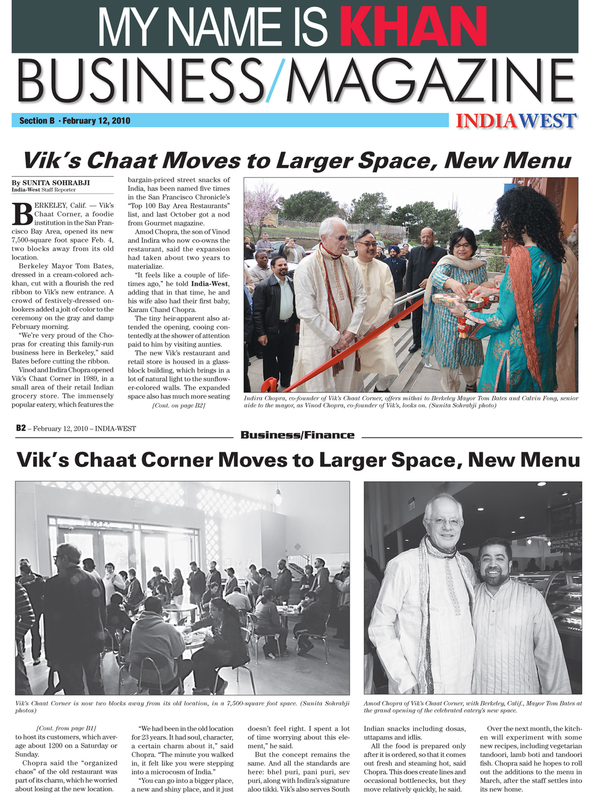 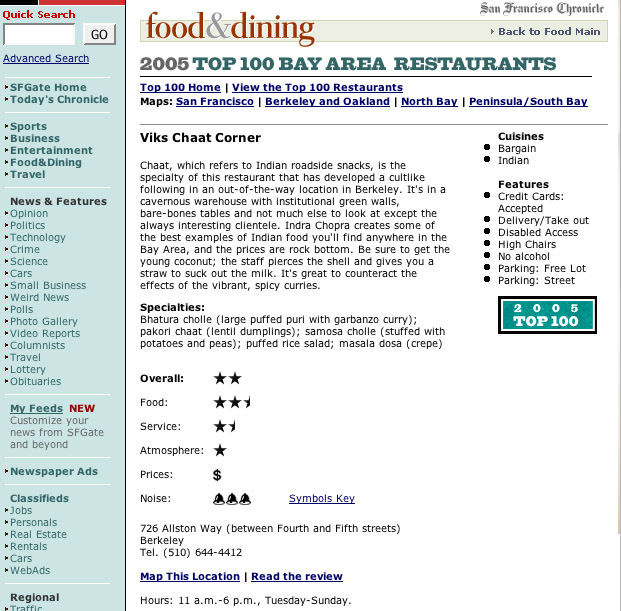 Diablo Magazine, April 2010: Chaat means snack — and this Berkeley eatery serves them up cheap and delicious. 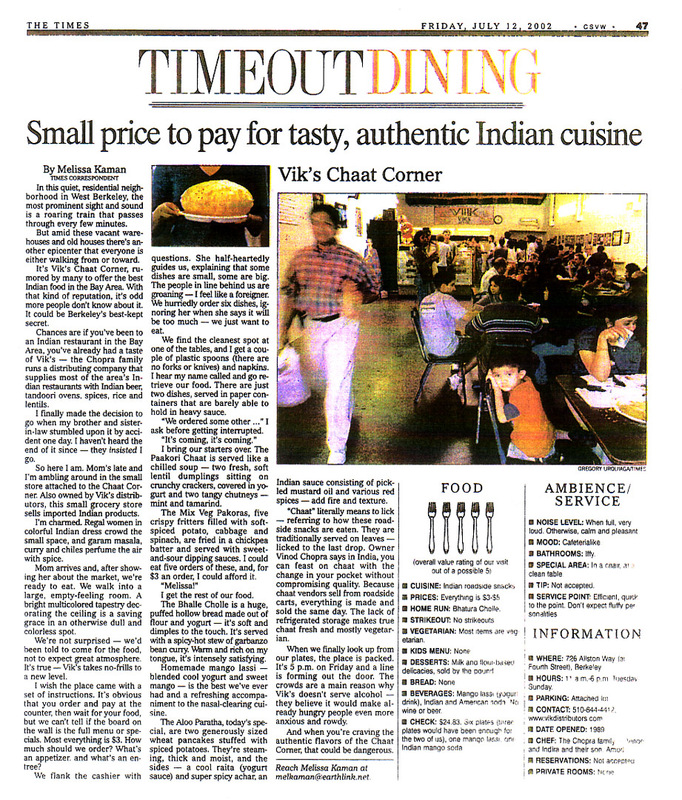 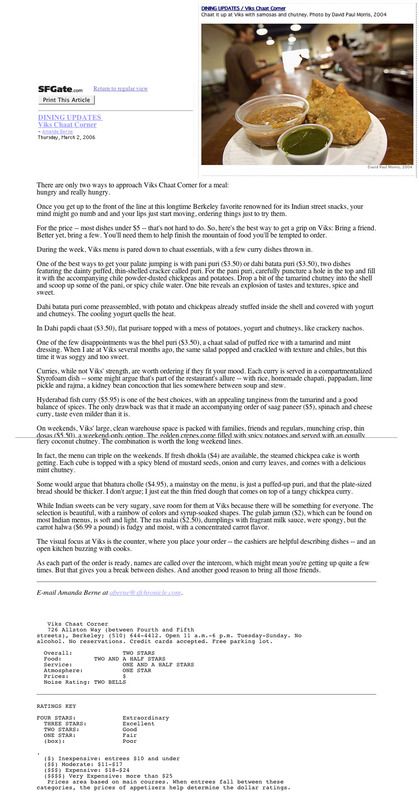 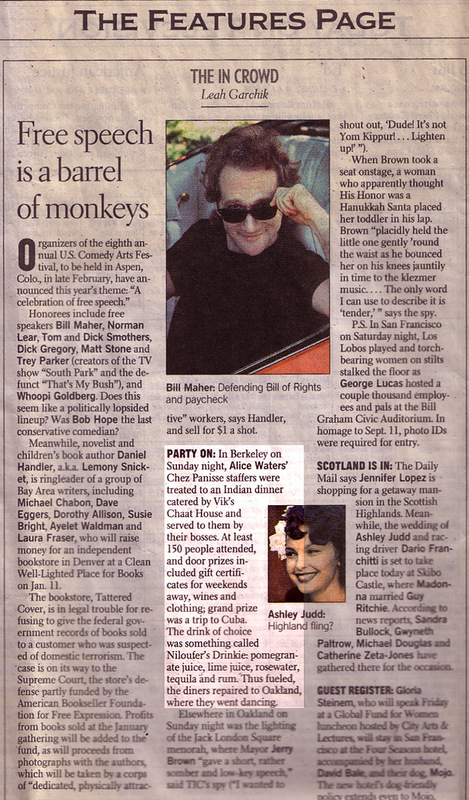 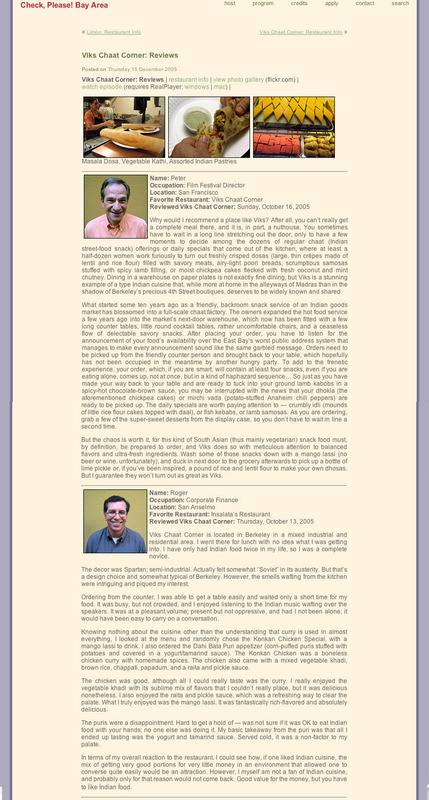 . .
UCSF Synapse, August 14, 1997: Let’s Chaat!